Trump Derangement Syndrome has become an epidemic in Hollywood. Elites in Tinseltown have engaged in full-on assaults against Donald Trump for ridiculous reasons, all stemming from the fact they can’t accept he won a fair election. 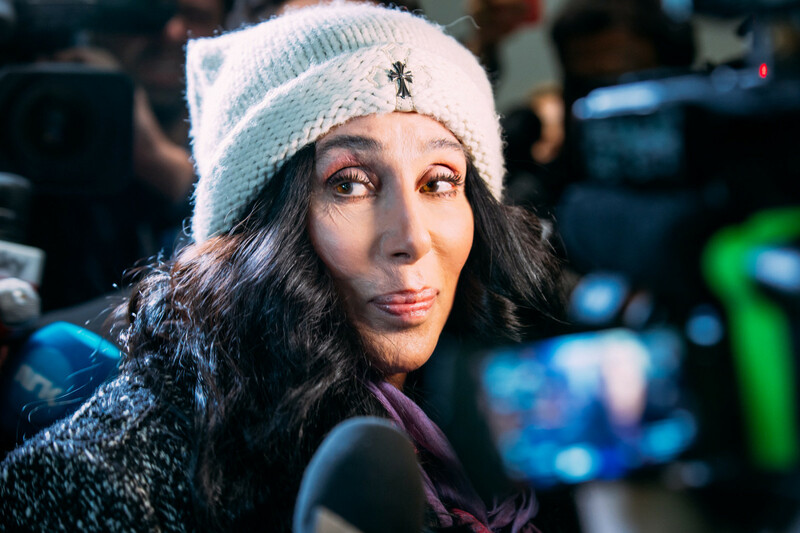 But famed diva Cher just went full Chernobyl after Supreme Court Justice Anthony Kennedy announced his retirement, and her outburst should have people concerned. Anthony Kennedy was a Ronald Reagan appointee who was considered a swing vote on the court. He leaned conservative on many cases—he recently sided to uphold Trump’s travel restrictions and voted to bar public-sector unions from being able to compel members to contribute to political speech—but also swung to the left on key cases, including marriage equality. Soon to be 82-years-old, Kennedy announced his retirement, and the left went into full-scale panic mode. Several mainstream outlets and journalists flat-out cursed him for having the gall to retire on Trump’s watch. Kennedy’s vacancy gives Trump an opportunity to appoint another justice. The left did their best to block Neil Gorsuch, but he was confirmed along party lines. Suggesting that rights are under attack and “some Americans could find themselves in internment camps” is disgusting demagoguery. It’s that type of rhetoric that could lead someone to shoot up a congressional baseball game. What’s ironic about the statement is that Japanese internment was authorized by the left’s progressive hero, Franklin D. Roosevelt, who (along with fellow progressive Democrat Woodrow Wilson) was the closest thing America has seen to a fascist ruler. FDR confiscated gold, threatened to pack the Supreme Court, and made it illegal for farmers to grow grain for private consumption. If Trump did half the things FDR did, the left would be having a conniption. Good to know Cher was able to discuss her favorite ABBA tunes in the midst of a fascist takeover. The real fear for leftists like Cher is that they will no longer be able to use the Supreme Court to ram through their policies. Antonin Scalia (and his successor Gorsuch) was an originalist and textualist. He believed that the Constitution should be interpreted as is, and if people don’t like the law, they should amend the Constitution through the congressional process. Meanwhile, the left believes the Constitution is a living document that can be interpreted however they see fit. If Trump selects another originalist, he will be defending rights, not taking them away. The left does not understand this concept. To them, the Supreme Court is supposed to be their plaything. If liberals want to change the law, they’ll now have to go through that pesky democratic process, something they despise. Cher and other leftists should be making cogent arguments for their policies in an attempt to move the needle for congressional representatives. But they’re not interested in debate. They’re interested in histrionics. One wonders if “Mamma Mia!” will be allowed in the supposed internment camps.